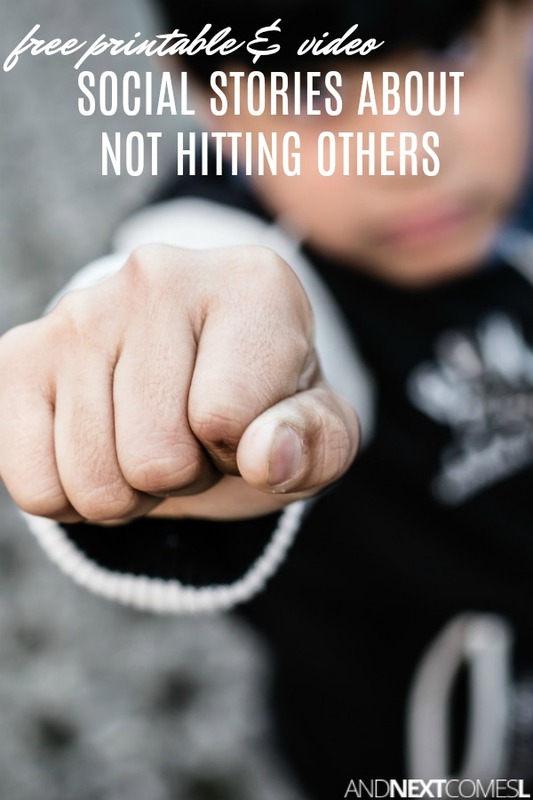 A collection of free social stories about hitting others and why it's not okay, including some free printable social stories for kids. Does your child hit others when they are angry, upset, or frustrated? Does your child need a reminder that hands are not for hitting others? If yes, then these free social stories about no hitting are going to be super useful for you and your child. They explain why it's not okay to hit others and offer suggestions of what to do instead when upset or angry. 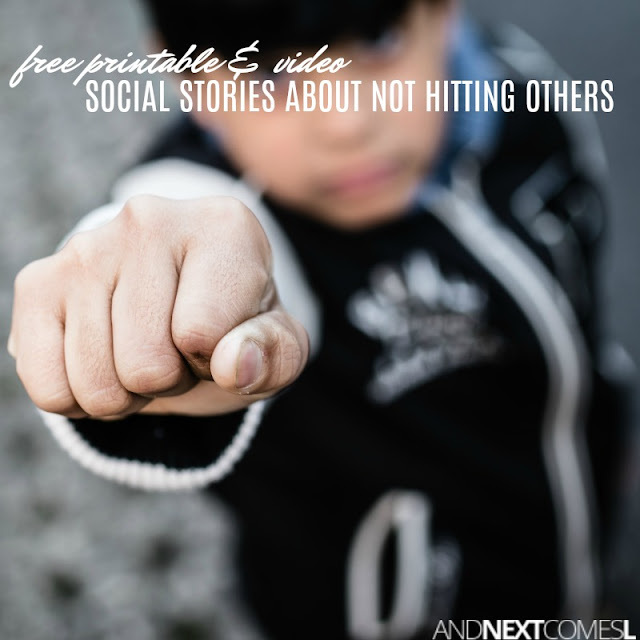 The following social stories include some free printable social stories about not hitting others. Some of the stories are text only and are meant to be examples of ones you could write in case you choose to write your own social story. Also, please note that these stories focus solely on hitting and do not necessarily include kicking, biting, or similar aggressive behaviors. If video social stories are more your thing, here are a few social stories that talk about why it's not okay to hit others. I hope you find them useful.